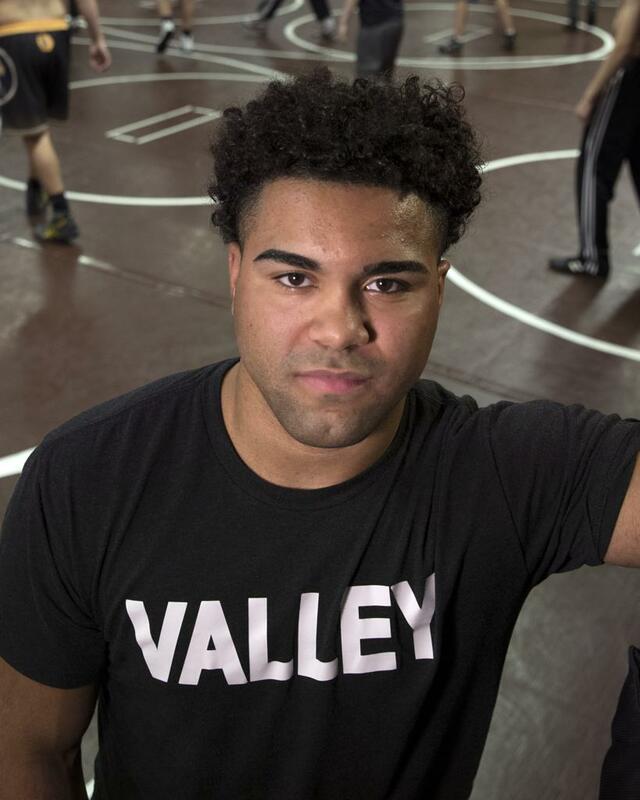 The Apple Valley heavyweight ended his high school career with his fourth consecutive state title. As if he wasn’t well-respected enough before winning his fourth consecutive individual state championship, the reputation of Gable Steveson has grown by leaps and bounds and backflips since. Twitter buzzed with videos of Steveson, a senior heavyweight who won 173 consecutive matches (some reports say 171, but 173 is correct) since a loss in eighth grade, doing a front handspring/backflip after pinning Anoka’s Brandon Frankfurth in 17 seconds in the Class 3A final. A fitting celebration for the Star Tribune’s first Metro Wrestler of the Year. Since then the future Gopher has been photographed with WWE superstar (and former Gophers heavyweight) Brock Lesnar. He was named Outstanding Wrestler at the Pittsburgh Wrestling Classic last weekend. He’s become a marquee name wherever he competes. That’s all since his three world championships, including one at 120 kilograms at the World Junior Championships in Finland last August, a competition he had to petition to enter because he was not yet 18 years old. He won hearts locally after the state meet in March, when he gave his shoes to a star-struck young wrestler and dug out a long-sleeved T-shirt from his backpack to give to a preschool-aged fan. Is he the greatest high school wrestler in state history? That can be argued; former teammate Mark Hall won six individual titles. But Steveson’s impressive body of work makes a strong case indeed.